Dodge cars are bred for performance. Its impressive muscle cars and sports cars show that the brand designs automobiles with unrivaled performance and style. Behind the wheel, you’ll draw attention on city and country roads because of its ultimate versatility and performance. Keep your Dodge in tip-top shape through scheduled repair and maintenance services. Trust Hollenshade’s Auto Service to handle your car’s automotive needs. Our repair shop in Towson, MD has been serving car owners since 1939. We are committed to providing the highest standard in vehicle care. Our team offers Dodge battery, charging, and starting services. We do free tests to check whether your battery is holding a full charge and performing at maximum capacity. If your battery needs replacing, we’ll walk you through the process and let you know what battery is right for you. But if our diagnostic tests show that your battery is not the problem, we conduct the necessary electrical system repairs. Your car’s belts and hoses can break and wear down because of vibration, moisture, and engine heat. But these parts are crucial because they power accessory components and keep your engine running smoothly. Our auto repair technicians in Towson, MD conduct Dodge belt and hose replacements. We inspect your car to ensure that your belts stay in prime condition. Vehicles registered in specific Maryland counties go through the Maryland Vehicle Emissions Inspection Program. As a vehicle owner in Towson, Maryland, this means you need to comply with state emission laws. And meeting with the law helps promote better fuel economy. Schedule a Dodge emissions repair and maintenance service with us today. Our technicians conduct inspections of emissions control parts as well as a road test. Your car’s electrical system performs various tasks, including starting your vehicle, recharging its battery, and supporting electrical loads. If you’re noticing electrical issues in your car, call our technicians immediately. Our Dodge electrical system repair and maintenance services will keep your car fully charged. We do thorough visual inspections and troubleshoot complex electrical problems. 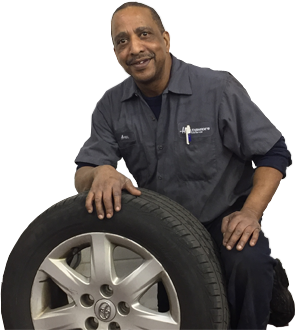 Hollenshade’s Auto Service is an auto repair facility in Towson, MD that holds an A+ rating from the Better Business Bureau. The Dodge Journey midsize SUV. The Dodge Caravan is a reliable family vehicle. The Dodge Challenger is a performance vehicle with many powertrain configurations options.